Tag Archive | "Conventions / Events"
Well, it’s been a little while since I’ve dropped in to talk about what I’ve been up to, so I thought I’d write about some of the exciting things that are happening behind-the-scenes. 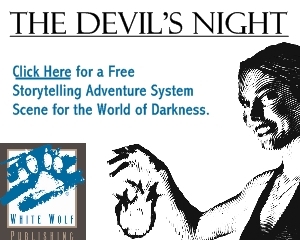 In this update, I talk about Geek’s Dream Girl, John Kovalic, The Creepy Cottontail and my helping out at the DriveThruRPG/ White Wolf booth at GenCon: Indy. In July, my first article geared toward freelancers debuted on a site called Geek’s Dream Girl. My new column is written to help new writers move from commoner to freelancer and offers some “mechanics” to help you do that. Dubbed Calling all Freelancers: Adventure to Dice Castle, it’ll provide a different take on the topic and will appear once-a-month. This weekend, I’ll be attending OddCon in Madison, Wisconsin as a panelist and moderator. Guests include J.V. Jones, Robin Laws and Sarah Monette. You may recall we conducted an interview with Robin Laws here at FlamesRising.com just recently. Well, Robin is the gaming industry guest of honor at OddCon, which takes place from Friday, April 8th through Sunday, April 10th in Madison, Wisconsin. In this post I talk about other guests, my panels and offer more information. 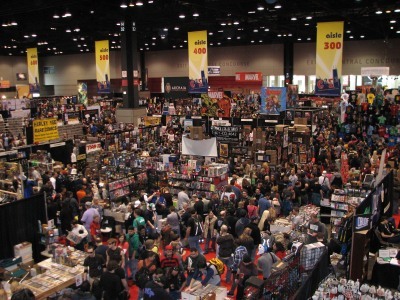 We recently made the trek down to Chicago for the second year of C2E2. The attendance was up by ten-to-fifteen thousand people year-over-year to reach in upwards of 40 to 45 thousand; you can see by the picture at the top that the show was hopping. I was really impressed by the attention to detail to make this show fun. Last year, the show’s organizers walked the floor on Sunday, which had died down considerably, and asked the vendors and booth managers what could be done. Huge, huge, difference between this year and last year. Huge. When it comes to all things gaming, nothing compares to the gamers paradise that occurs every August at Gen Con Indy, the nation’s largest annual consumer fantasy, electronic, sci-fi and adventure game convention. With Co-Sponsors like Upper Deck Entertainment and Wizards of the Coast and hundreds of other exhibitors, 6,000+ gaming events, anime and more, there is much to look forward to at Gen Con. For the seventh year in a row, the event will be held at the Indiana Convention Center in Indianapolis from August 13-16. Gen Con, celebrating its 42nd year and going strong, is the quintessential “destination” for all types of gaming , for all ages. Activities range from interactive game play and computer gaming to big money hobby-related tournaments sponsored by industry leaders such as Upper Deck Entertainment and Wizards of the Coast. Gen Con Chapter 11 Plan Approved! Gen Con LLC announced today that the US Bankruptcy Court of Western Washington has confirmed the company’s plan of reorganization and approved the company’s rejection of a hostile takeover bid. Since filing for bankruptcy protection in February of 2008, Gen Con has significantly reduced its expenses and increased its cash position. 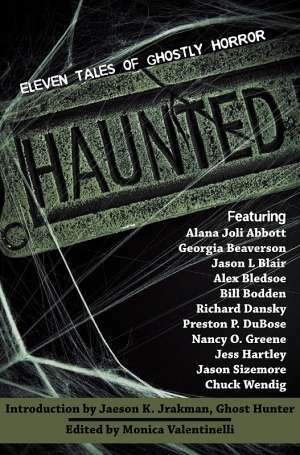 Meet The Creators Of Teddy Scares At Wizard World Chicago! The Innovative Creators Will Hold A Toy Design Discussion From 4-5 P.M. On Friday, June 27th. Have you had a killer toy idea in your head for years, but don’t have the know-how to make it a reality? Does the idea of it leave you awake at night with a gnawing, burning desire in your gut to turn your dream into a toy? Well, after you’ve been to your doctor to rule out an ulcer, get on over to the Wizard World Chicago Convention Friday, June 27th from 4-5 p.m., because we’ve got the cure for what ails ya! Two of the demented minds behind the Teddy Scares toy line, co-creator, Joe DiDomenico and Chris Patchell, Teddy Scares artist extraordinaire, will discuss the “how-to” of designing your very own toy! Convention season has begun once more. The Flames Rising crew has a few favorites and we’re always looking for more places to check out and new events to try. While did not get the chance to attend WisCon right here in our hometown, there is always next year. 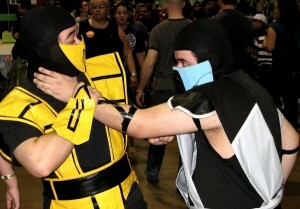 Coming up in the next few weeks are Origins Game Fair and Wizard World Chicago, both of which I hear are a fun time. We just might be stopping by WWC on Saturday June 28th, so let me know if you will be attending. An upcoming convention we would love to check out is GenCon Oz, taking place July 3rd – 6th in Brisbane Australia. The next big convention for us, and a personal favorite of mine, is GenCon Indy, taking place August 14-17 in Indianapolis, IN.